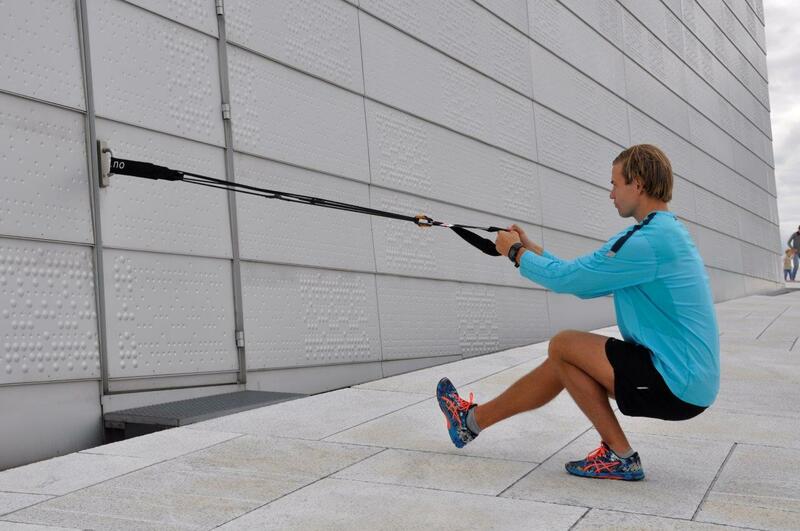 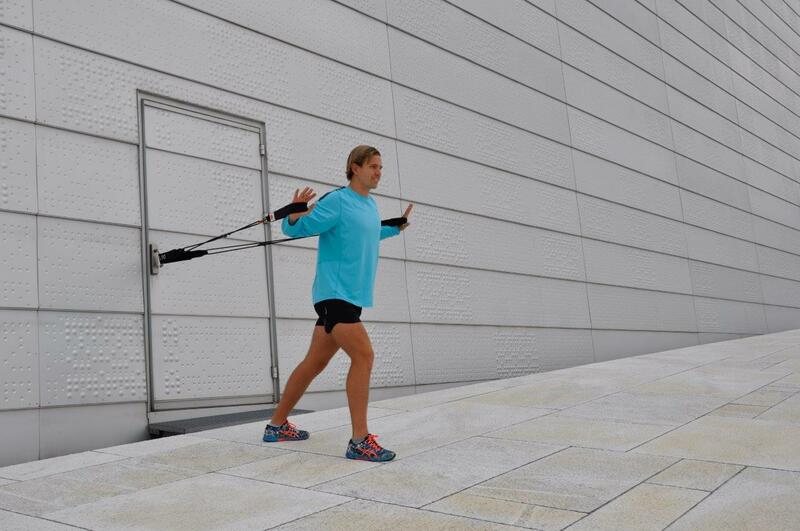 The perfect Bungee for individual training! 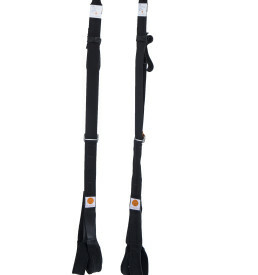 Bungee Single Trainer (130cm) is delivered with handles, a DoorBag ​​and a carabiner hook. 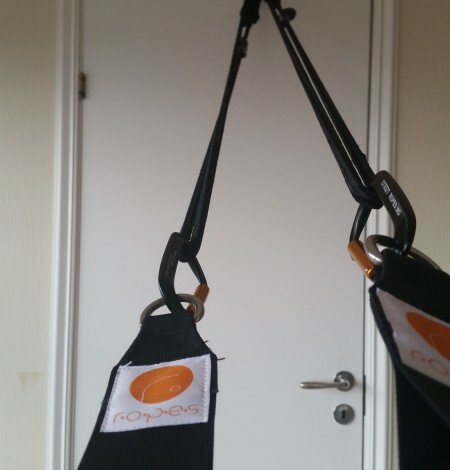 The DoorBag makes it really easy to use; Attach the Bungee Single Trainer to the webbings of the DoorBag, place it over the door (between the doorframe and the door), close the door and you are ready to start your workout! 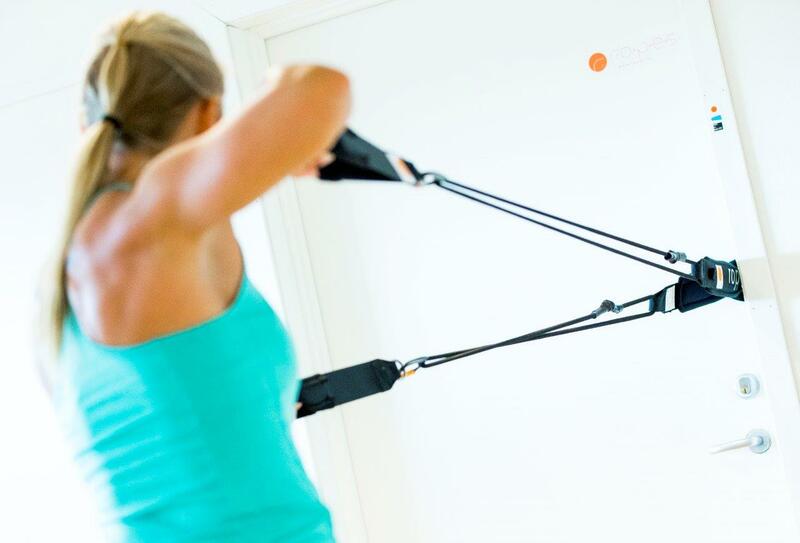 Bungee Single Trainer is suitable for everyone, regardless of age, physical level, etc. 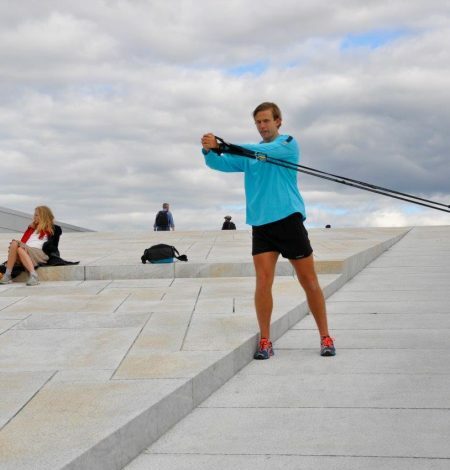 It will give you a full-fledged workout wherever you are. 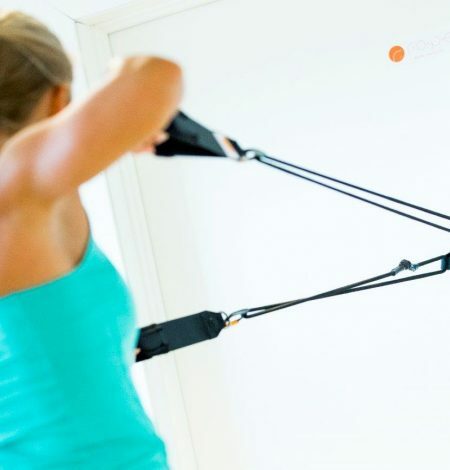 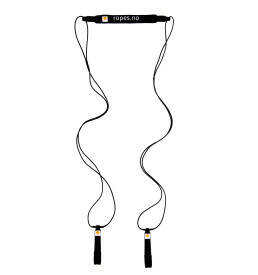 Bungee Single Trainer will give you the most resistance where you are strongest and the least where you are weakest, thus giving you an optimal resistance throughout the range of motion. 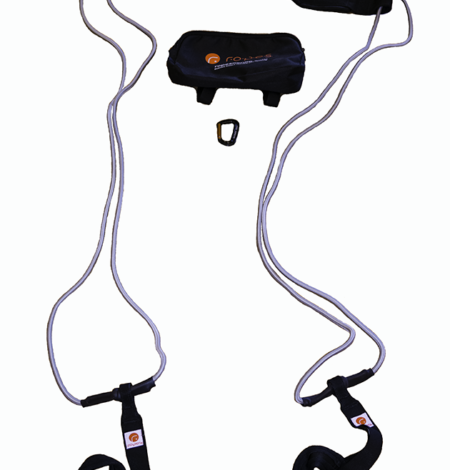 The Bungee Single Trainer comes with two levels of resistance: The silver-gray cord has high resistance and is best suited for adults. 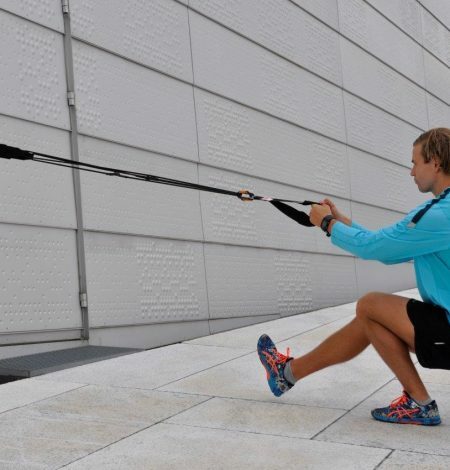 The lime green has less resistance and is best suited for children, the elderly and those who want more resistance. 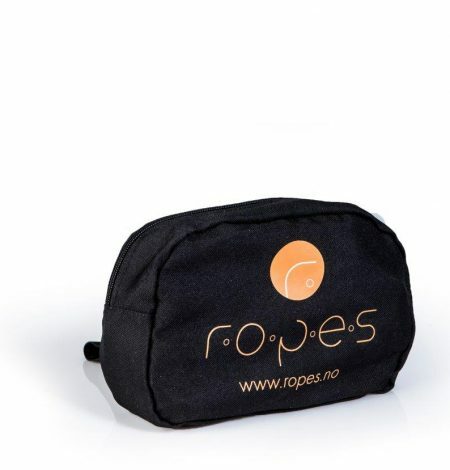 The product includes a R.O.P.E.S DoorBag. 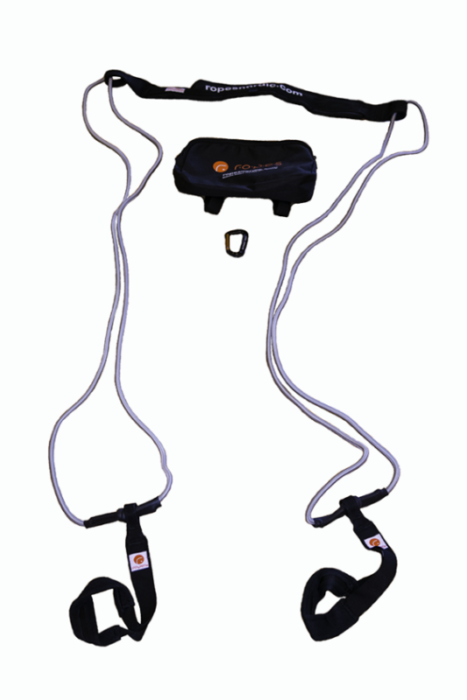 This is a strong nylon bag that to be used as a door anchor, making it easy to have a workout anywhere. 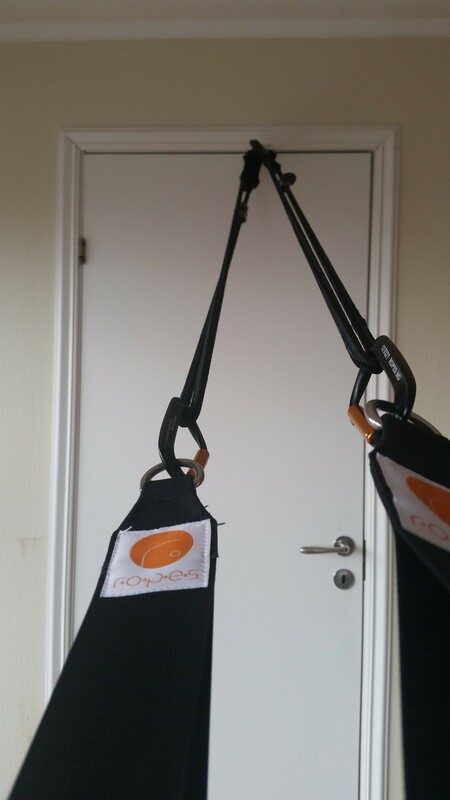 Attach the Bungee Single Trainer to the webbings of the DoorBag, place it over the door (between the doorframe and the door), close the door and you are ready to start your workout! 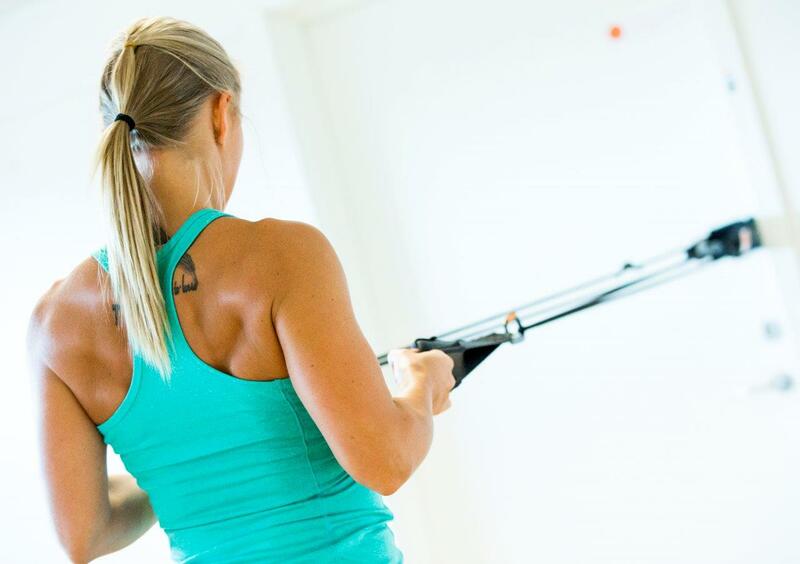 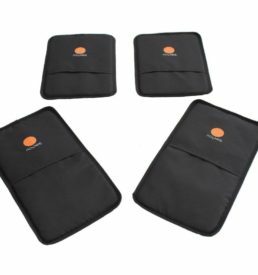 The DoorBag ​​also makes it easy to unpack, store and carry the Bungee Single Trainer on the road, to the office, the fitness center etc. 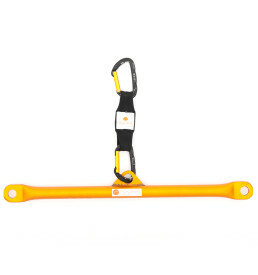 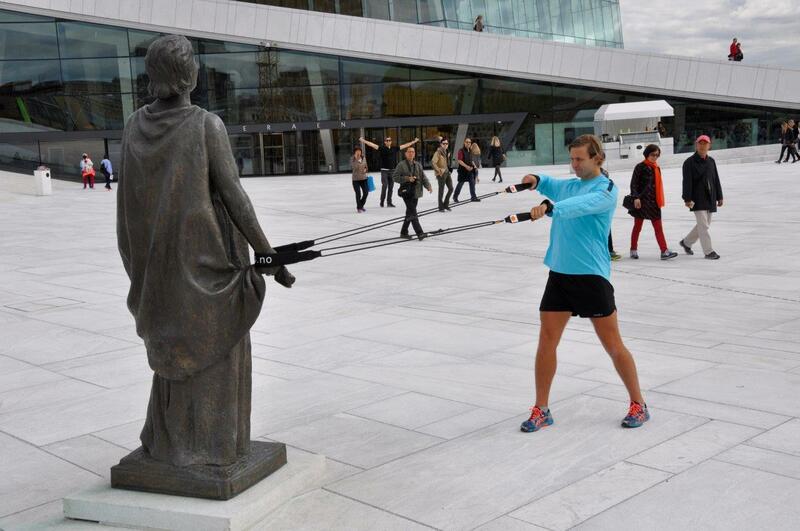 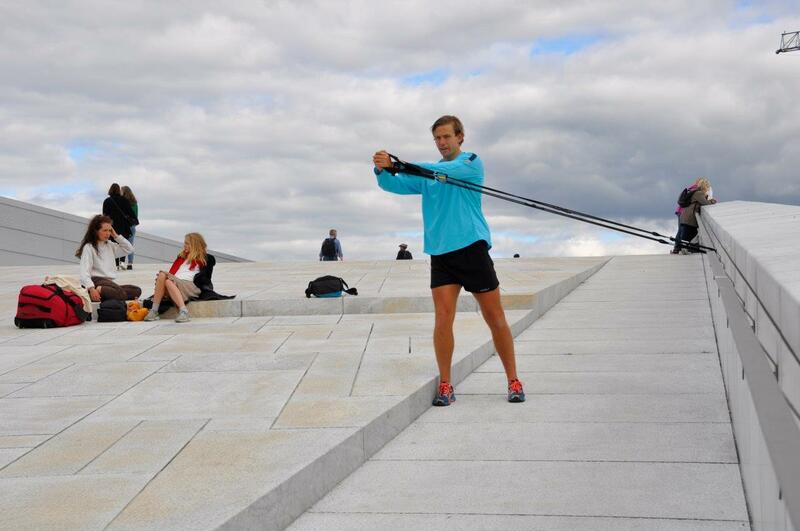 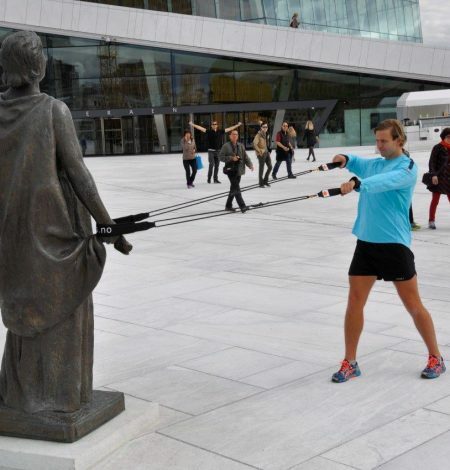 Fasten the Bungee Single Trainer to a hook, a post, a tree and you can enjoy a workout outdoors. 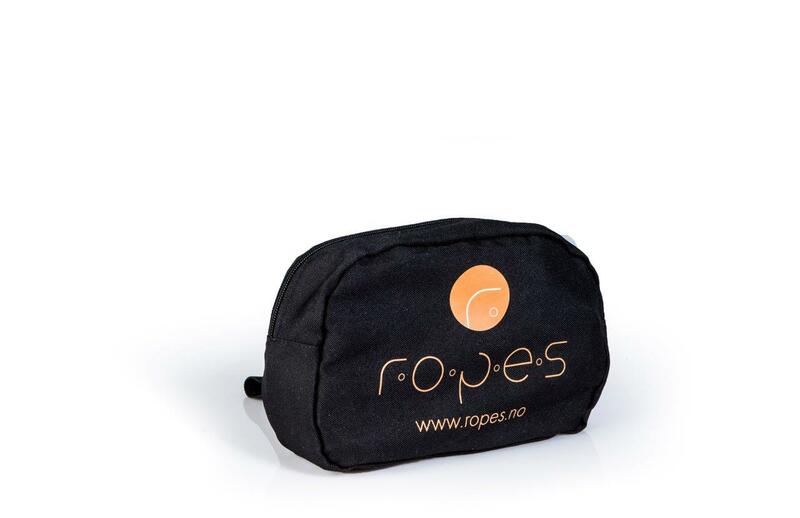 The product consists of a Bungee Single Trainer (130cm) with handles, DoorBag ​​for easy use and storage plus a carabiner hook.